Accessible Surface Area(ASA) is the surface area of a molecule that is accessible to a solvent. 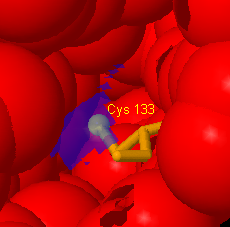 The right image is 1W7B (PDBID), in the middle of CYS 133(site number) is confirmed through experiments S-nitrosylation modification site (yellow)；that yellow ball it is determined cysteine ​​sulfur atom S-nitrosylation. The blue part is ASA value by DSSP of 10 and the percentage of 8.26.The red part of the other site near the surface. 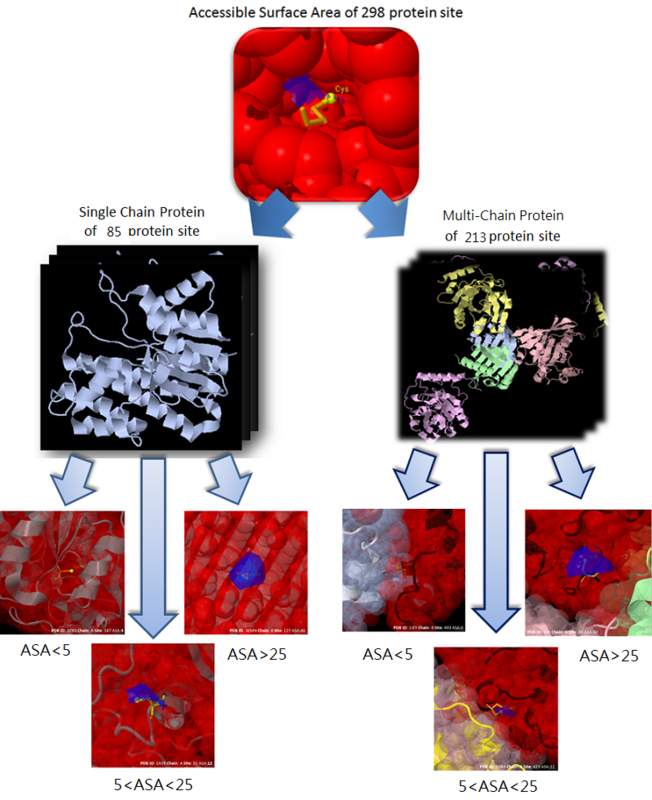 In this class study,We selected 298 high-quality protein than the sites to observe the ASA value, which has 85 sites a single chain, the other 213 sites for the multi-chain.